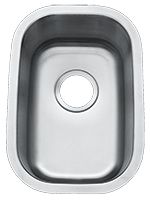 Leonet Stainless Steel Sinks offer the highest quality for the lowest price. Full 18 Gauge 304-Grade Stainless Steel. Some models use same template / cutout as Primo and Futura counterparts. Please click here to download the Leonet brochure (PDF).